With the V1.0.3 firmware update for the SC5000, users now have the ability to import their Rekordbox libraries. The Denon SC5000 Rekordbox Import feature allows for DJs with song libraries created in Rekordbox to seamlessly and effortlessly plug into a Denon Prime system and have access to all Rekordbox playlists and songs, including hot cues and memory loops. Required: If the SC5000 will be used with an X1800, the latest v1.11 update for the X1800 will also be required. Please find this update and instructions included in the download. How does the Rekordbox import work? It’s a simple as sticking in a Rekordbox prepared drive into an SC5000 and then pressing ‘Yes’ to import. Playlists, Songs, Hot Cues and Memory Point Loops. If a hot cue color has been selected, that color is imported, if not, the default Engine Prime hot cue colors are used. That depends on several factors such as database size, and drive speed and drive type. On a USB 3.0 drive, one can expect an import speed of roughly 300 tracks per minute. This may significantly vary depending on drive type or if the tracks are being re-imported. Some of my Cues/Loops have imported early! How do I fix this? 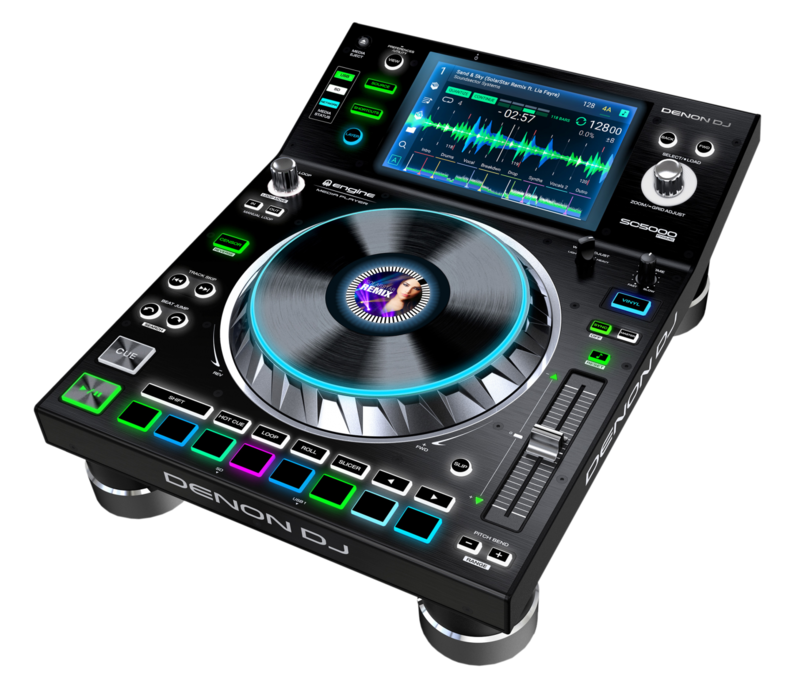 While Denon DJ has tried to account for as many file formats as possible, there is a chance that some files may result in Hot Cues and Loops importing with a slight offset. This can be corrected on the SC5000 by holding Shift and then pressing the Zoom/Grid Edit knob for 1 second to enter the Cue/Loop offset mode. While in this mode, the on-screen buttons can be used to adjust for cue/loop offset. What happens to my Rekordbox collection? In short, nothing. The SC5000 accesses the Rekordbox database in a read-only fashion and does not make any changes to the Rekordbox collection.